Product prices and availability are accurate as of 2019-04-17 17:21:22 EDT and are subject to change. Any price and availability information displayed on http://www.amazon.com/ at the time of purchase will apply to the purchase of this product. Builder's Best is a nationwide, high-performance manufacturer of quality venting solutions, designed to meet specific constraints of areas such as dryer venting, bathroom fan venting, fresh-air ventilation and general venting. The 10 in. 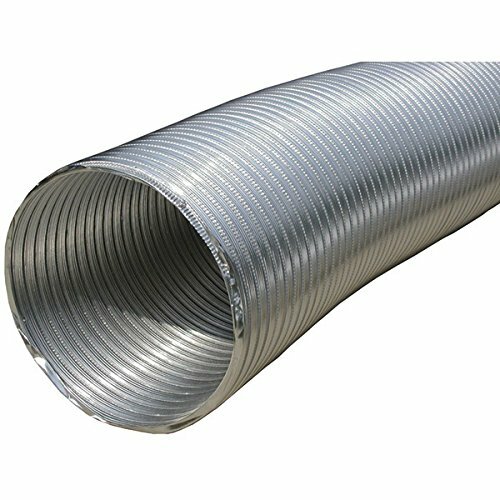 x 8 ft. Semi-Rigid Aluminum Duct is noninsulated. It is ideal for general-purpose venting such as range hood and bath fan exhaust. Maximum operating temperature is 430deg F.